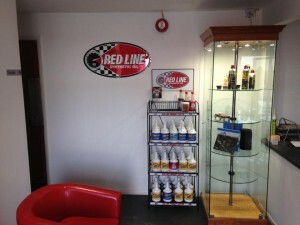 A1 Black ‘n’ round Ltd was formed in April 2012 after much consultation with our Partner company A1 Motorist Centre Ltd. It was agreed that we needed to offer customers access to tyres, as well as our comprehensive One stop auto shop for all their other motoring needs. After investing in the best quality tyre fitting equipment (Hoffman), we launched our tyre fitting services with great success, offering all our customers access to tyres on servicing and M.O.T’s enabling piece of mind for our customers, completing the total servicing centre atmosphere. Our customers are now happy in the fact that we can cater for all of their motoring needs, without them having to take their vehicles away for tyres. Having established the Tyre service, we quickly became aware of the need to offer that little bit more to our customers and made a huge investment decision, and purchased the latest Hunter Engineering Company laser Four Wheel Alignment System, which is the only accepted alignment system by ALL the major and minor car manufactures. We now specialise in wheel alignments. So if it’s excellent service you need, look no further. If it’s tyres you need, give us a call. Book today for your FREE, no obligation Wheel Alignment Check. 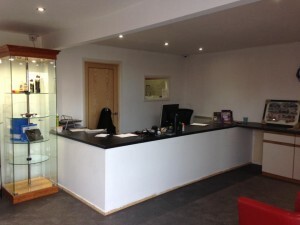 Find out more about our sister company, Broadstairs Garage A1 Motorist Centre. They are located just round the corner from us, and cater for all your general vehicle needs: servicing, repairs, MOT’s and more. Please click to visit their website.